Chicken is a meat cheaper than beef. In the supermarket, whole chicken and some cut-up parts are cheaper per pound than beef. 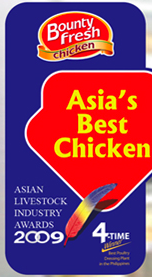 Chicken has been one of our favorite staple foods due to companies' clever marketing and food engineering. As early as the 1920s, farmers gave value to chickens mainly because of eggs. A chicken then can only be served on the table when her egg-laying days were done. To achieve a healthy lifestyle, it starts with buying the right foods that offer a bunch of nutrients that our body needs - from the freshest fruits and vegetables to the cleanest meats and poultry. 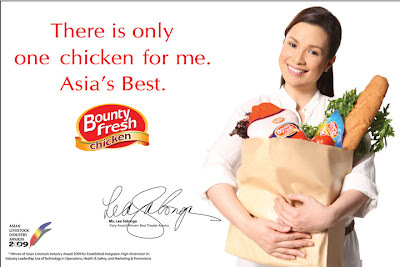 One company that continues to provide only the best poultry products to Filipinos is Bounty Fresh Chicken. 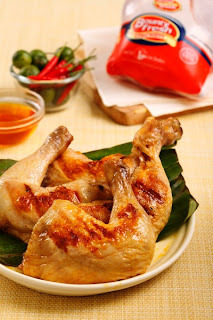 It is Filipino-owned and one of the leading and fastest growing suppliers of high quality fresh chicken products today. Bounty Fresh Chicken held an event gathering friends from the media and the blogging community at the cozy and elegant Chef’s Table Restaurant at The Fort in Taguig City on October 14, 2010. This event was hosted by Meg Entrata. Chef Bruce Lim personally demonstrated how to prepare delicious and healthy meal. Chef Bruce also showed us how to prepare the sauce. The lambanog (the local gin/vodka) is an alternative to vinegar and it adds up to its sour flavor. Joan Sumpio, a nutritionist, gave a wellness talk that served as one of the highlights of the event. She emphasized the importance of nutrition, chicken meat, and finding the right food products in the market. Patricia Cheng, Bounty Fresh Brand Marketing Group Head, shares that from the day Bounty Fresh Foods was established in 1996, the company has always been committed in providing clean and fresh chicken and chicken-related products processed from its own state-of-the-art hatchery, broiler farms, and processing plants to make sure that the standard of quality are met at all times. "We would like to be known as a company that adheres to the highest standards of freshness and quality. 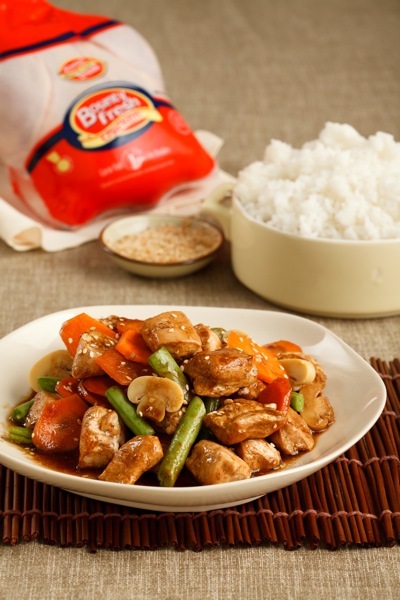 We commit to offer healthy food choices and the best chicken products in the market," believes Cheng. Chicken can also be served raw, like sashimi. Just awesomely delicious! Chicken can be enjoyed by everyone because it has many nutritional benefits. The fat it contains is higher in polyunsaturates than the fat in red meat - a solution for people with high blood-cholesterol levels. Chicken is also a very good source of the following nutrients: protein (supports body growth, development and body repair), niacin (improving cholesterol levels, controlling blood pressure), riboflavin (formation of red blood cell and antibody), vitamin B6 (normal formation and transport of blood) & vitanmin B3 (energy; takes care of normal structure and function of our skin), (protects body cells from damage; immune system) and seleniumphosphorus (energy). It also provides a significant amount of fat (for growth, healthy skin, vitamin-absorption and regulation of bodily functions), calcium (bones and teeth), iron (blood), beta-carotene or vitamin A (eyes), vitamin B1 (nervous system, heart & muscles) & vitamin B2 (regulate red blood cells growth; eyes, skin). 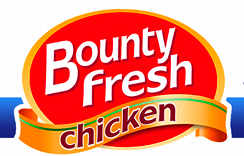 Bounty Fresh dressed whole chickens are processed in its state-of-the-art and world-class facilities. The unique processing methods include triple washing carefully grown chickens (first of its kind) and immediate vacuum-packing to preserve the freshness and flavour. Dondi Alentajan, the company's Group Marketing Manager, states that their vacuum packing process is truly world-class, to guarantee the consumers with the highest quality of freshness and cleanliness in their chicken products. Bounty Fresh also offers Fresh Chicken Cut-ups, Chicken Nuggets, Corned Chicken, Juicy Liempo and Super Legs and are found in all major supermarkets and groceries nationwide. The company is also the name behind the success of Chooks-To-Go, a popular 900-strong roast chicken chain famous for its ‘Masarap kahit walang sauce’ tagline. Lea Salonga is the latest endorser of Bounty Fresh Chicken. For more info, visit www.bountyfreshchicken.com. I agree with you. I always buy bounty fresh. My nephew's girlfriends bro in law works for Magnolia and he in fact told us not to buy those products who are marinated already. He specifically said, this are chicken who are nearly in their spoilage time so they try to cover the smell and color by doing some recipe out of out of it like Teriayaki, Inasal and many more. Since then, I settled buying Bountry Fresh. @mr.loney: thanks for your kind words! I visited your cool site! You like sciences? Where are you from?